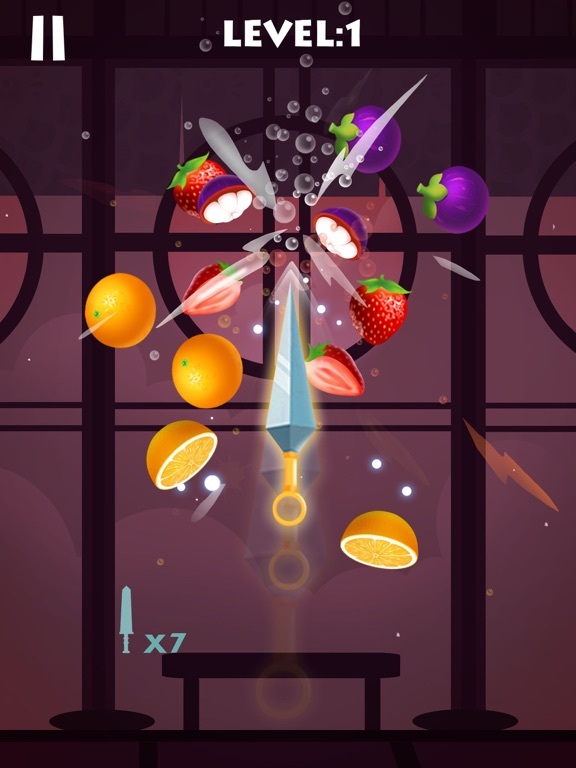 There are two modes of Knife Rush Fruit, and two kinds of gameplay of it. 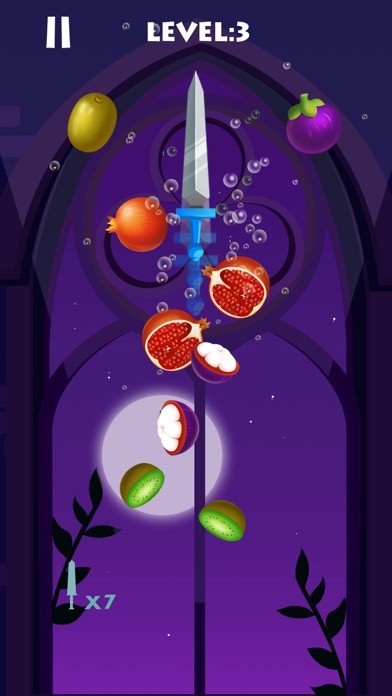 In big fruit slashing, the amount of knife is unlimited; in small fruit slashing, the number of knife is limited. 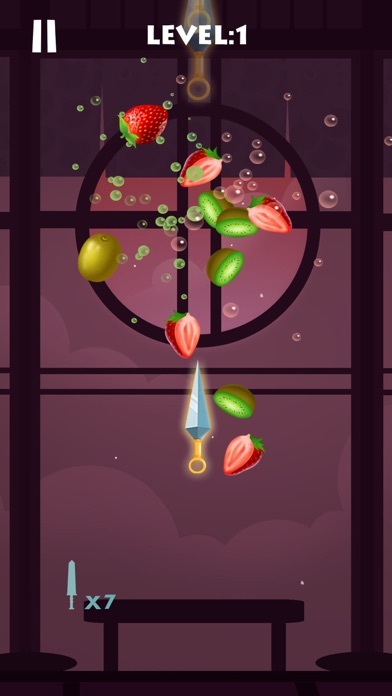 The core gameplay of both modes is taping the screen to throw knives out and stabbing all rotating targets. 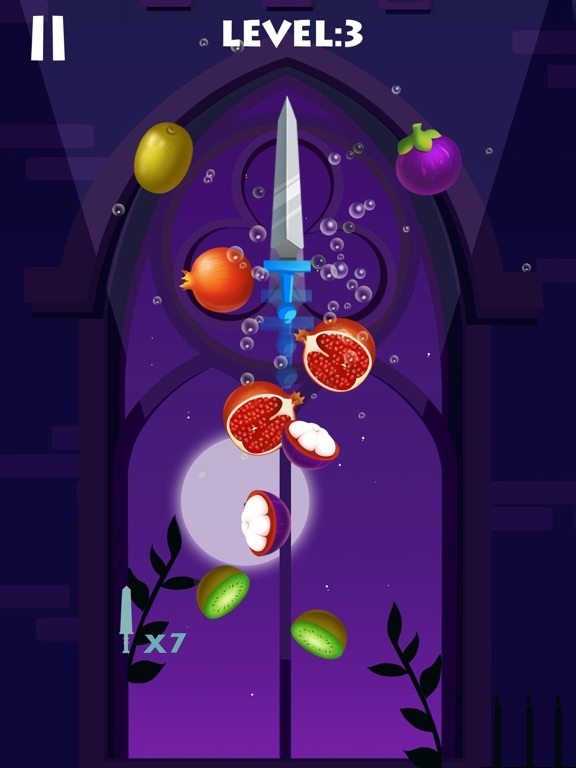 The game is over if the knives you thrown hit other knives or small fruit is not slashed completely when knives are running out. 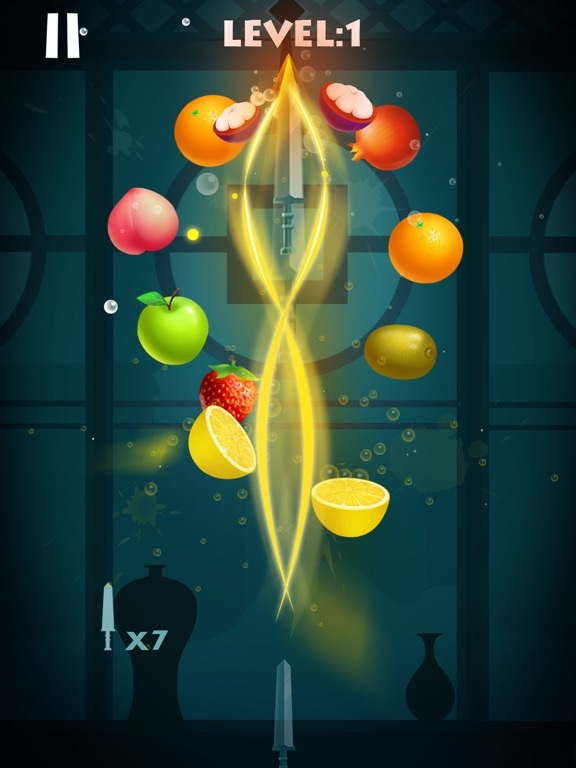 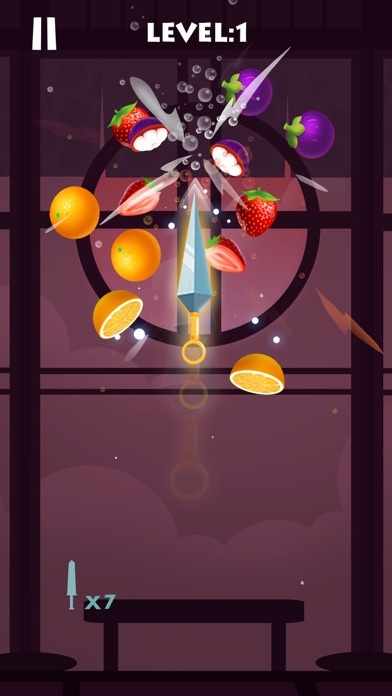 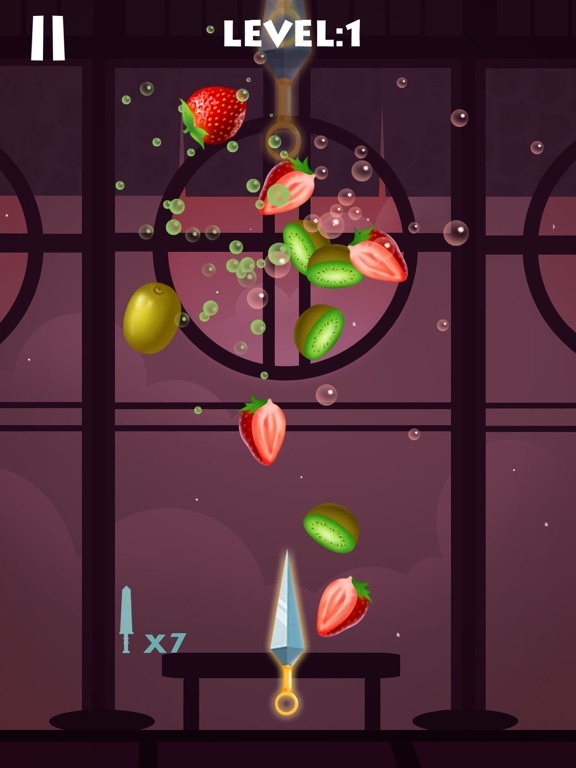 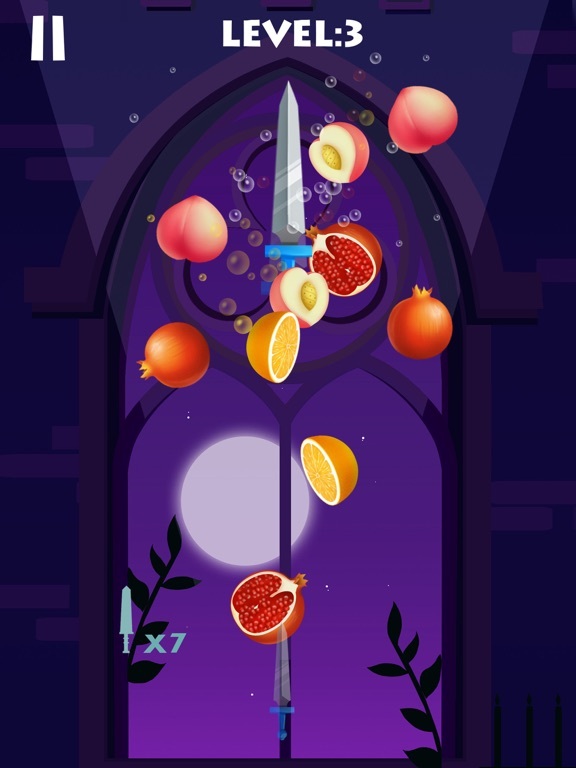 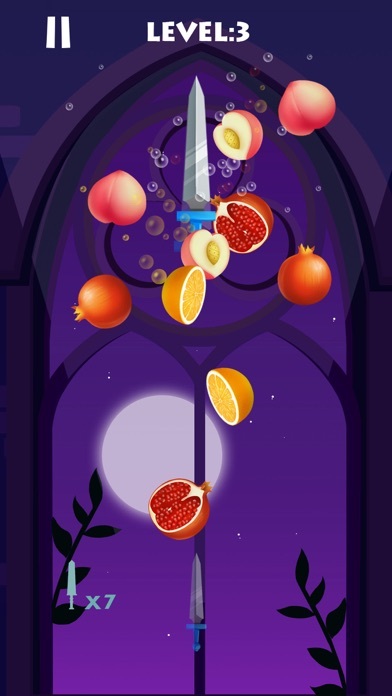 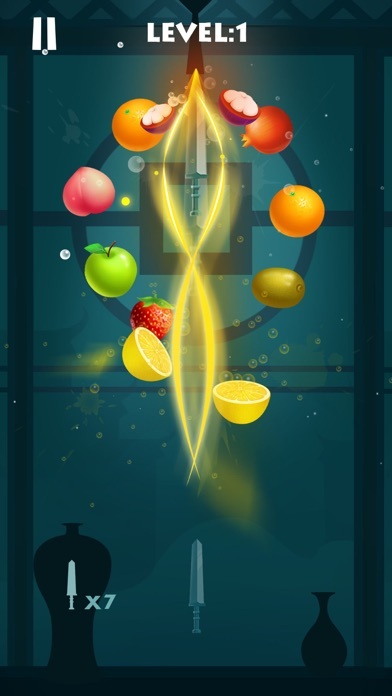 Target carefully, slash the fruit and become a knife master!